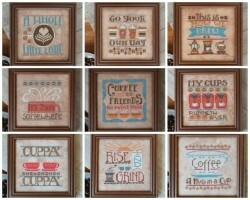 Cross stitch pattern by Hands On Design. An oink and a moo with a snowman or two! 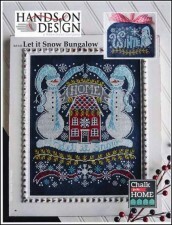 Large, beautiful snowflakes fall from the sky decorating the farmstead. Pigs & chickens roam among the farm with snowman decorated in their colorful hats & scarves. Mr. Snowman appears to be going for a ride in the back of the pickup truck. Hold on tight!! 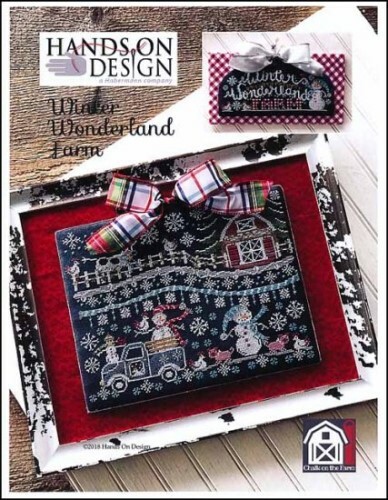 The Winter Wonderland Farm sign chart is included! 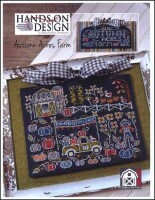 Stitch counts: Winter Wonderland Farm Sampler 163 x 127 & Winter Wonderland Farm Sign 140 x 53.